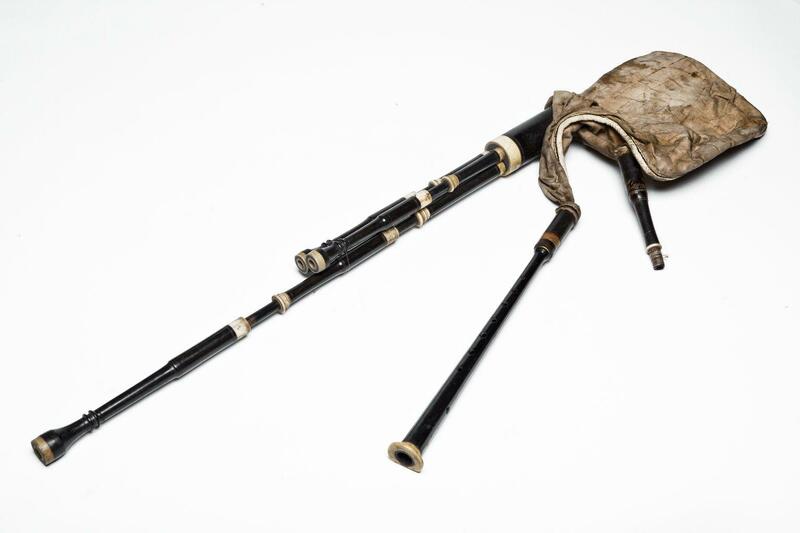 Chanter for Northumbrian small pipes, unfinished. 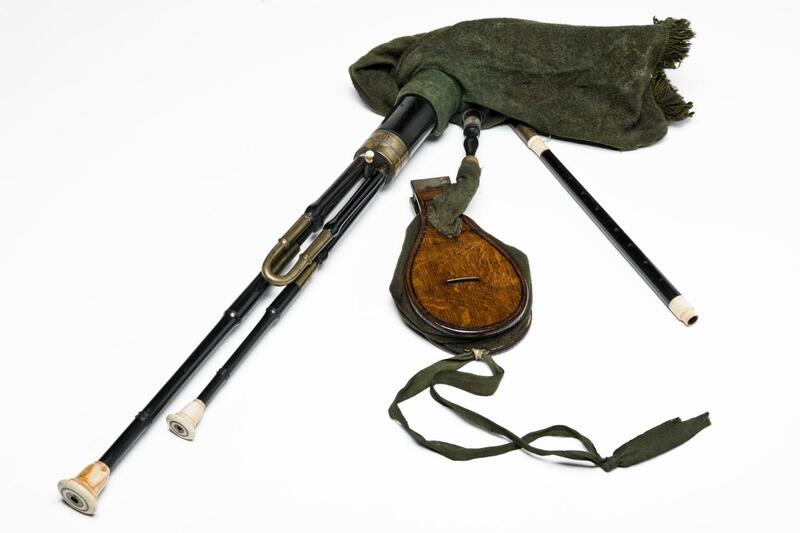 Set of bagpipes, Lowland Scottish. 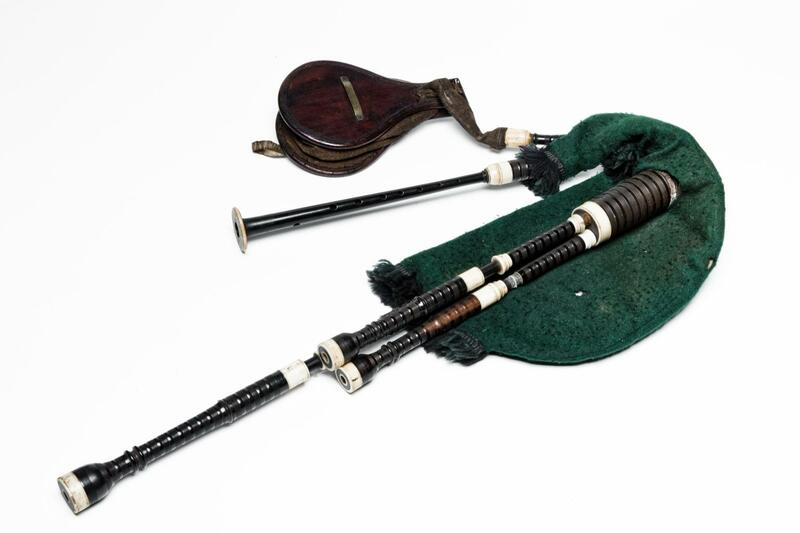 Set of Highland bagpipes or `Lovat Reel Pipes'.